These are the teachers that have had the greatest influence on me. My riding, teaching, and training have been built on the foundation of Classical horsemanship that these individuals have generously shared with me. Now, I have the responsibility of passing on these ideals to my own students. I was the assistant to Alexsandra Howard - 3-time U.S Equestrian team ( USET )member (Olympic & World Championship teams, '78, '80, '82). Sandy is an "S" level judge. She is a USDF Faculty member conducting “L” judge learning programs. Sandy collaborated with Mary Wanless , and developed an advanced understanding of the biomechanics of the effective dressage seat, and presented a CDS Annual Meeting lecture on the subject. Major Anders Lindgren was a Swedish Olympic competitor and coach. 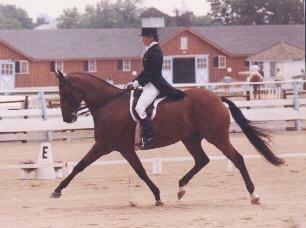 He came to the U.S and conducted numerous National Seminars and USDF National Dressage Symposia. 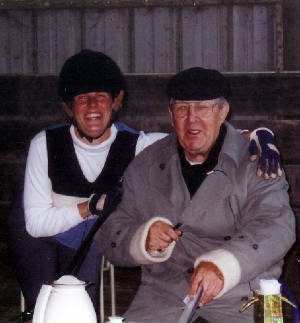 His national influence on thousands of dressage riders and instructors is illustrated in USDF's current teaching programs. Major Anders Lindgren is an inductee into the USDF Hall of Fame for recognition of his seminal training of U.S. Dressage Instructors. I am currently riding regularly with Karl Mikolka. Karl Mikolka studied with the Spanish Riding School for 14 years, where he rose through the ranks to Chief Rider. 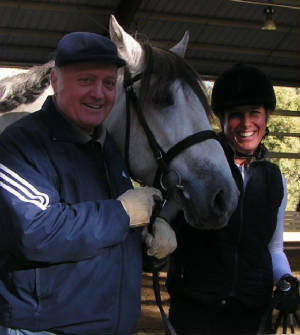 He is a founding member of USDF, an AHSA Dressage Judge, and served on the judging panel of several Olympic Selection Trials. He was inducted into the USDF hall of fame for devoting the past thirty years to the preservation of Classical Horsemanship through training, teaching, judging, coaching and publishing. 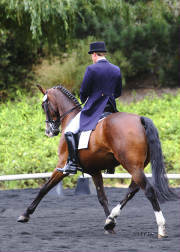 Michael Pineo, is a USDF Gold Medal rider who has produced numerous successful FEI level horses.